The shot on the left is an antelope captured at night by a Snapshot Serengeti camera trap. 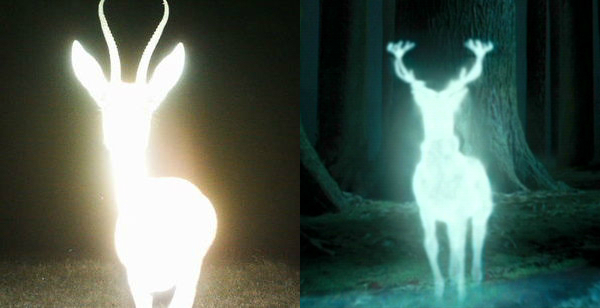 The shot on the right is the stag Patronus from the film Harry Potter and the Prisoner of Azkaban (credit to the Harry Potter Wiki for the image). Find your own spirit animal at Snapshot Serengeti! Next Next post: Egg-Laying Spree!